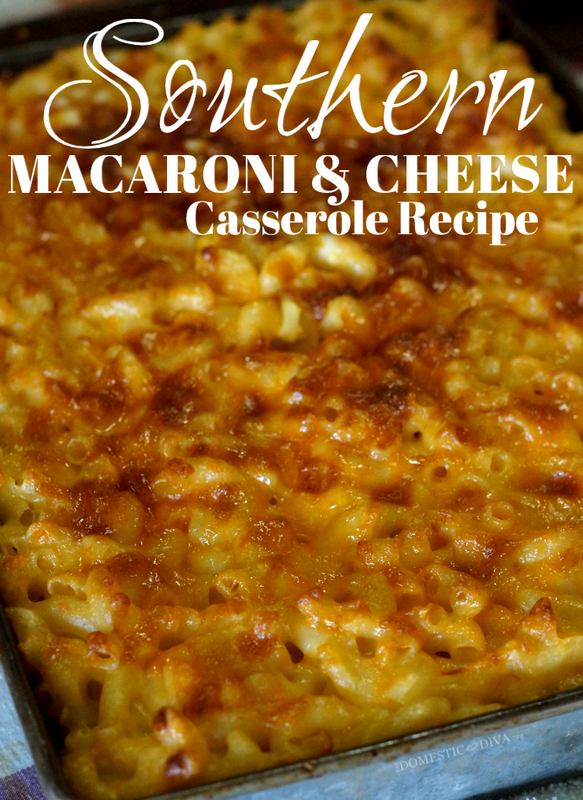 One staple that is on my families holiday table is Southern Macaroni and Cheese Casserole. It really isn’t the holidays without this dish. Its so good that it doesn’t feel like the holidays without it. We just celebrated Thanksgiving and as you might have guessed, Southern Macaroni and Cheese Casserole was one of our main side dishes devoured by the entire family. 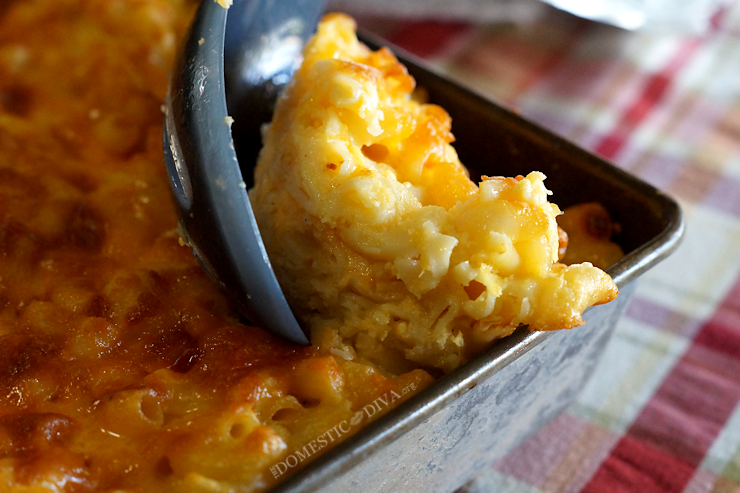 Macaroni and Cheese Casserole is served in southern restaurants that serve traditional southern dishes throughout the south. In fact, I prefer a scoop of macaroni and cheese from a casserole in my favorite restaurants versus the traditional type of macaroni and cheese. The tradition of having Southern Macaroni and Cheese Casserole served at our family table during the holidays began with my grandmother. We have reserved this recipe to only making it during a family get together. This isn’t something that we make year round which is what makes it extra special. Although grandmother’s recipe will always be the best, I’ve since taken the family recipe and added my own unique tweaks to it. Cook elbow macaroni according to package directions. Drain into a colander and Rinse with cold water to stop the cooking process. While the elbow macaroni is draining prepare the cheese sauce in the original pot that you cooked the macaroni in. First melt the butter then combine with the flour and let cook for approximately 3 mins. Stir in 2 cups of milk and half of the cheese. Continue to heat over medium to medium-high heat until all the cheese is melted and the sauce has begun to thicken. Add the drained elbow macaroni noodles to the prepared cheese sauce. Stir to coat completely and remove from heat. In a separate bowl whisk together 6 eggs, 1/2 cup milk, and salt. Once combined, stir the egg mixture into the macaroni and cheese. Stir well until everything is combined. Pour half of the macaroni and cheese mixture into a greased glass casserole dish. Half the remaining amount of cheese, and sprinkle one half onto the first layer in the casserole dish. Add the rest of the macaroni and cheese mixture to the casserole dish and top with the remaining cheese. Bake in a preheated oven at 350°F for 45-60 minutes or until the middle is firm and not runny when you insert a knife. Serve warm. Refrigerate leftovers. Does you family have a traditional dish that you only make during the holidays? What size is the casserole dish for this recipe? Sorry about not including this in the recipe, I think I used a 9×13″ glass casserole dish. Definitely a larger dish because this recipe is made to feed a crowd!